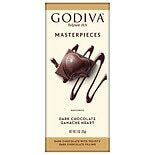 Shop Godiva Masterpieces Belgian 1926, Premium Assorted Chocolates (5.9 oz. )5.9 oz. 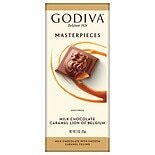 Shop Godiva Masterpieces Chocolate Bar Dark Chocolate Ganache Heart (4.9 oz. )4.9 oz. 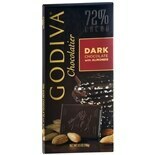 Shop Godiva 72% Cacao Candy Bar Dark Chocolate with Almonds (3.5 oz. )3.5 oz. 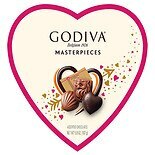 Shop Godiva Masterpieces Premium Chocolate Dark Chocolate Ganache Heart (3 oz. )3 oz. 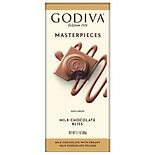 Shop Godiva Premium Chocolate Milk Chocolate Bliss (3.1 oz. )3.1 oz. 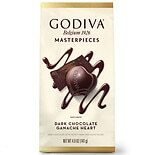 Shop Godiva Masterpieces Premium Chocolate Dark Chocolate Ganache Heart (1 oz. )1 oz. 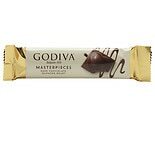 Shop Godiva Premium Chocolate Milk Chocolate Caramel Lion (3 oz. )3 oz. 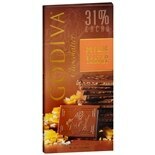 Shop Godiva 31% Cocoa Candy Bar Milk Chocolate Salted Caramel (3.5 oz. )3.5 oz.